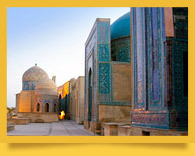 What comes to mind when Uzbekistan’s tourist attractions are in question? 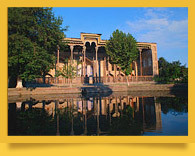 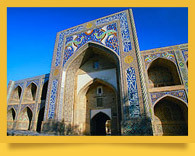 First of all, it is the country’s architectural heritage, richest in Central Asia: masterpieces of medieval Islamic architecture - minarets, mosques, madrasahs (Islamic colleges), mausoleums, fortresses, palaces, etc - as well as ancient Zoroastrian and Buddhist temples and ruins of ancient settlements… Among all of them stand out the famous Registan Square in Samarkand, with the three marvelous madrasahs built in the XV-XVII centuries at its three sides, and the grand Gur-e Amir Mausoleum where the great conqueror Tamerlane (Timur) is buried. 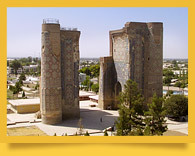 Bukhara is first of all associated with Ismail Samani Mausoleum dating back to the 9th century and the 50-meter-tall Kalyan Minaret. 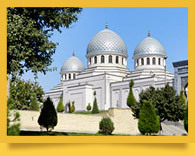 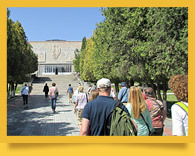 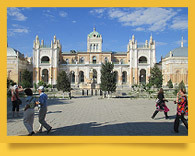 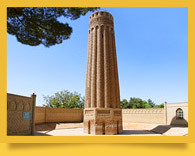 (There are over 170 important architectural monuments altogether in the city.) 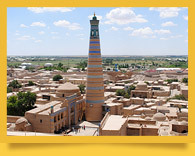 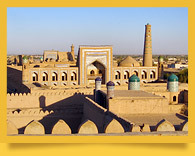 Khiva is famous for its unique Ichan-Kala ‘inner city’ historic part - a walled medieval Central Asian town being preserved as it was in the past - an artifact town… Thanks to its vast territory and very diverse terrains, Uzbekistan also boasts numerous natural attractions. 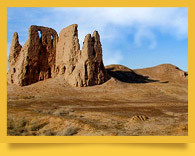 They are the impressive tracts of the Kyzylkum Desert, for instance, and of course the majestic Tien Shan Mountains with their resorts and fascinating landscapes. 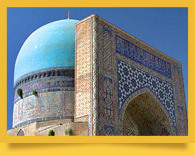 Samarkand (also spelled Samarqand) is probably the most famous Uzbekistan’s historic city. 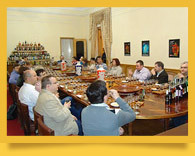 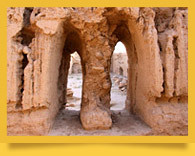 Over 2,750 years of age, it boasts very impressive architectural monuments and a rich history. 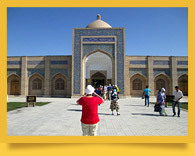 Samarkand originated from a settlement called Afrosiab (or Afrasiab), the ruins of which can be seen on the northern outskirts of the city. 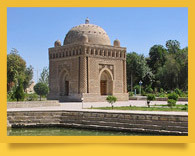 Later, still before the Common Era, it was the capital of Sogdiana (or Sogdia, Suguda, Sogdiane, Sogd, Sugd), named Marakanda (or Maracanda) then. 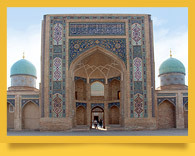 When the city became the capital of the huge empire of Tamerlane (Timur) in the 14th century, it had enjoyed substantial growth and construction of splendorous edifices, some of which we can stll see today. 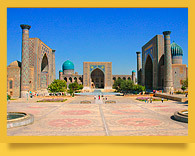 The Registan Square, with the three grand madrasahs (Islamic colleges) on its sides, is the top Samarkand attraction. 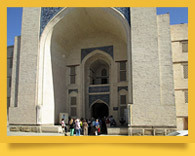 Among the others stand out Gur-e Amir Mausoleum (also spelled Gur-e Amir, Gur Emir, Guri Amir) where Tamerlane rests under a jade tombstone; Bibi-Khanym Mosque (also spelled Bibi-Khanom, Bibi-Khanum) - one of the largest mosques in the Islamic world; Khazrat-Khyzr Mosque, one of the oldest Samarkand monuments where you can have an impressive view of Shah-i-Zinda Necropolis (also spelled Shakh-i Zinda, Shahi-Zinda, Shohizinda), Siab Bazaar and distant mountains; and the surviving part of the legendary Ulugbek Observatory (also spelled Ulugh Beg, Ulughbeg, Ulugh-Beg) where Ulugbek compiled his world-famous star catalogue, the best between Ptolemy’s and Brahe’s. 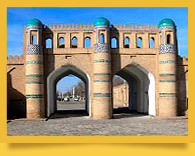 Bukhara (also spelled Bukhoro, Buxoro, Buchara, Bokhara, Buhara) is over 2,500 years old and seems to be emanating the breath of history. 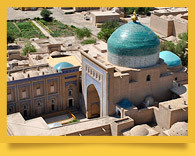 According to the Iranian Encyclopedia, the name of the city came from the Sogdian for ‘lucky place’; it is also said to derive from the Sanskrit for ‘temple’. 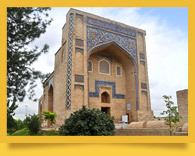 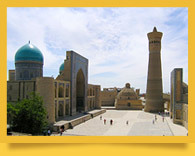 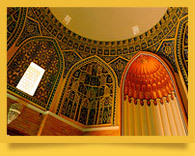 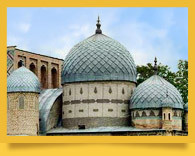 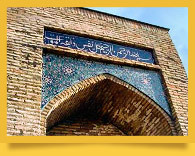 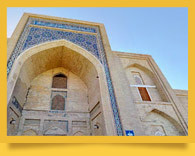 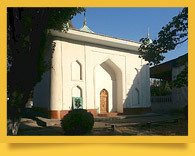 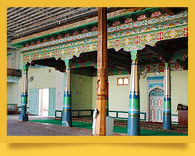 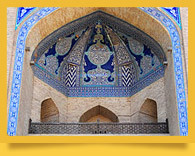 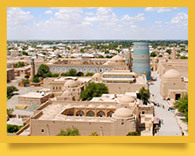 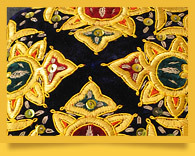 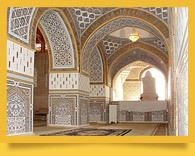 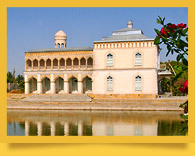 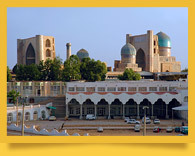 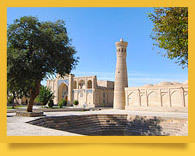 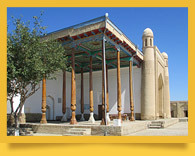 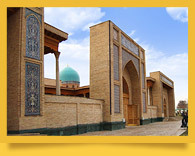 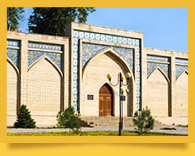 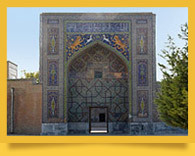 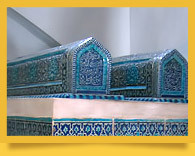 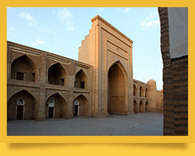 Bukhara is one of the world’s seven holy cities of Islam. 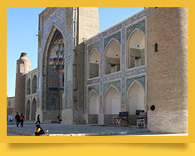 It was a large religious center in the Middle Ages, with over 350 mosques and 80 madrasahs (Islamic colleges), many of which survive. 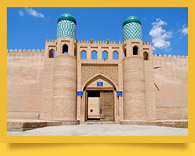 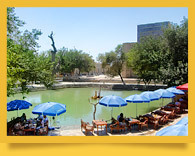 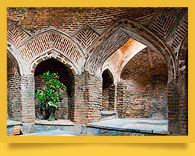 All the streets in Bukhara lead to the central historic complex Lyab-i Hauz (also spelled Lyab-i Khauz, Lyabi Khauz, Lyabi Hauz), where besides magnificent architectural monuments by a hauz pond a number of cozy restaurants and teahouses are located. 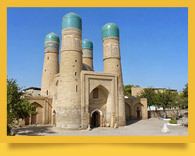 Among the numerous attractions in Bukhara stand out the famous Kalyan Minaret (also Minorai Kalon, Minara-i Kalan), the impressive ancient Ark Fortress, functioning medieval bathhouses and domed shopping arcades. 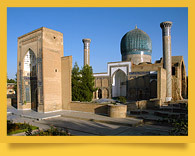 There over 140 architectural monuments in the city! 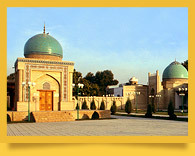 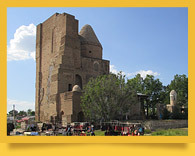 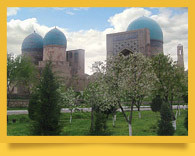 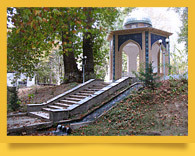 Shakhrisabz (‘green city’; also spelled Shahrisabz, Shahr-i Sabz), the home town of Tamerlane (Timur), features a number of architectural monuments built in his and his dynasty times. 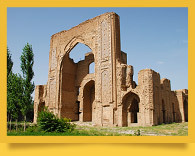 They are the grand remains of the summer palace Ak Saray (‘white palace’; also spelled Aq Sarai, Aksaray, Aqsaray, Aksarai, Aqsaray) dating from 1380, the memorial complex Dorus Saodat (‘seat of power and might’; 14th c. - 15th c.; also spelled Dorussaodat, Dorus Siadat, Dorussiadat, Dar al-Sayadah; also known as Hazrat-i Imam Complex) where two Tamerlane’s sons were buried and where a crypt intended for him was built, the memorial complex Dorut Tillavat (‘contemplation place’; 14th c. - 15th c.; also spelled Doruttillavat, Dorut Tillyavat, Doruttillyavat, Dar al-Tilavah) where Tamerlane’s father rests, and the Friday communal prayer mosque Kok Gumbaz (‘blue dome’) built by order of Ulugbek, Tamerlane’s grandson, in 1437. 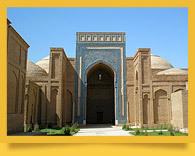 Thoroughly restored and reconstructed, these architectural monuments are perfect examples of Central Asian Islamic architecture of the Timurid times. 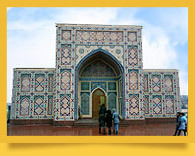 They were meant to contribute to making Tamerlane’s home town and the second capital of his huge empire as beautiful as Samarkand. 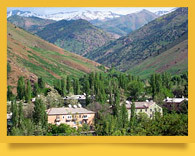 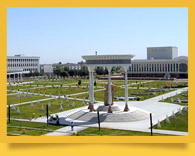 Margilan is situated in the southern part of the Fergana valley, 9 km from the city of Fergana, the administrative centre of the province. 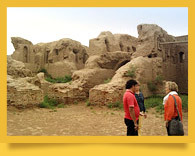 The city of Margilan which is over 2,000 years old was one of the earliest urban communities that sprang up in the Fergana valley (Old Margilan) and an important point on the Great Silk Road (Route). 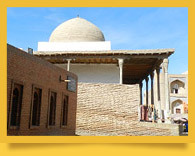 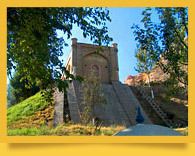 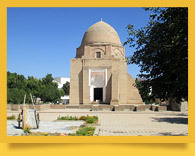 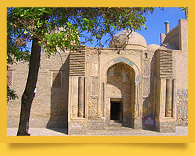 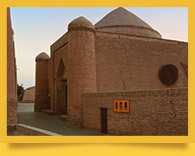 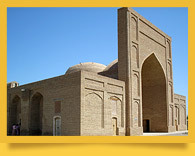 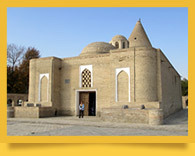 There are a lot of historical and architectural monuments around the southernmost Uzbekistan city of Termez. 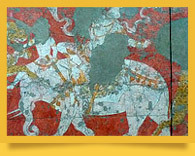 They date back to various times, with the earliest of them having lasted since the Kushan Kingdom of the 1st century. 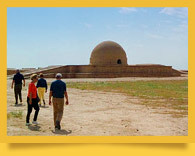 Among them stand out the ancient settlement site Dalverzintepe - the oldest Buddhist structure in Uzbekistan, Karatepa Complex and the Buddhist stupa Zurmala, and the monuments showing the expansion of Islam in Central Asia: Kyrk-Kyz Fortress showing great medieval architectural mastery, the khanqah (Sufi monastery and hospice) Kukildor-Ota - one of the most venerated Termez sights, the splendid architectural ensemble Sultan Saodat, and Khakim-at-Termezi Mausoleum, which is worshipped by Muslims all over the world. 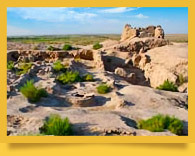 The civilisation of Khorezm, the most ancient in the territory of Central Asia, appeared in the lower course of the Amudarya River at the border with the Kyzylkum desert in the mid-2nd millennium BC. 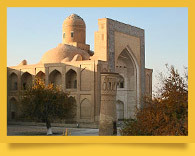 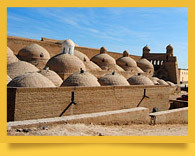 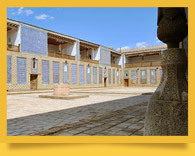 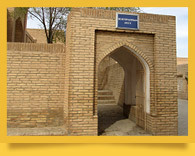 The civilisation of Khorezm gave birth to the unique Khorezmian culture, which is sometimes considered as significant as that of Egypt and Babylon and which left after it priceless heritage - cities lost in sands, majestic fortresses and one of the most ancient world religions, Zoroastrianism. 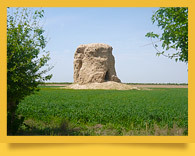 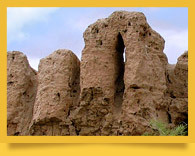 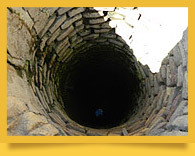 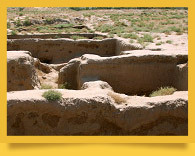 Avesta, the holy book of the Zoroastrians, had been written in the territory of Greater Khorezm, where the scouts from the Ahnenerbe were searching for the mythical Asgard and Soviet archaeologists found a series of fortresses and a network of interconnected ancient irrigation canals buried under the sands of the Kyzylkum. 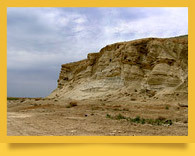 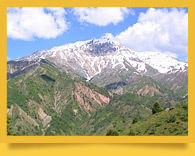 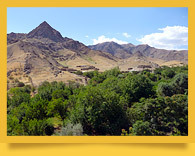 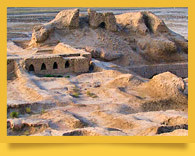 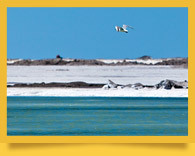 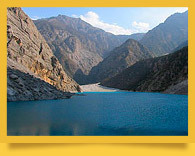 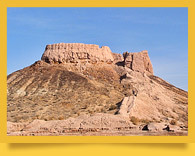 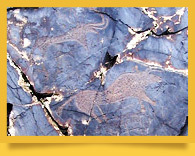 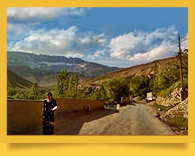 The territory of Ellikkala District features over 200 archaeological sites, the largest and most famous of which are Toprak-kala, Ayaz-kala and Mizdahkan. 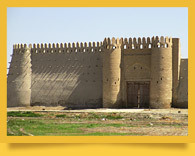 In total, there were over 1,000 fortresses in ancient Khorezm, most of which, situated in inaccessible areas amidst white-hot sands and lifeless solonchaks remain almost unstudied today. 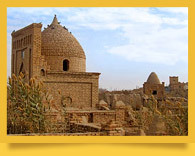 Wrapped in numerous legends, the enchanted realm of silent ruins and tumbledown towers attracts crowds of those who like antiquity and search for historical truth. 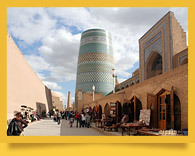 It is impossible to think about Asia without bazaars - just like the sky without moon or a teahouse without tea. 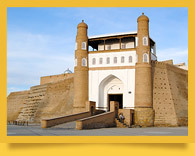 Asian bazaars were the Great Silk Road crossroads stars, cultural melting pots. 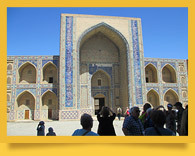 They were not only trade locations; they were centers of attraction and development of various cultures, interaction of peoples, exchange of ideas and languages. 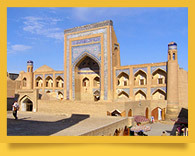 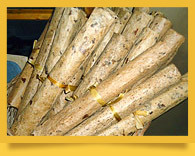 Asian bazaars - like the crystallized grape sugar navat - are the locations where the nation’s soul is concentrated. 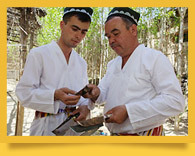 Their facets reflect the gist of Central Asian life and existence. 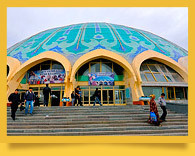 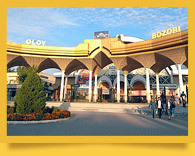 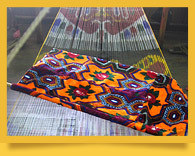 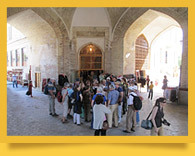 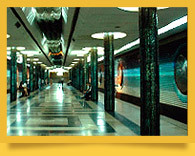 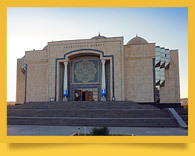 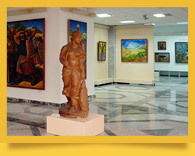 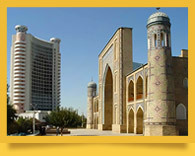 Uzbekistan bazaars differ in designs and layouts. 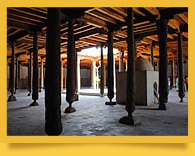 They are open or roofed, with parallel, perpendicular, round rows of stalls, or one-line rows along a city’s major road or a river. 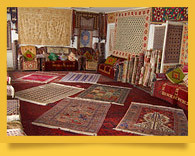 The sale spots are as various as cloths on the ground, stalls and shops, and even luxurious illuminated shop windows for some of them. 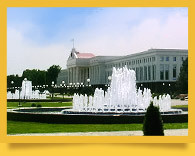 Only in Asia you can see how one of the oldest economical principle saying ‘trade is the engine of civilization’ works. 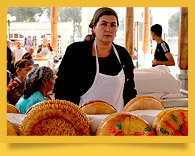 Besides anything else, the key to start this engine is bargaining. 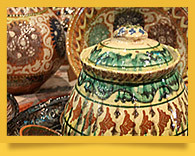 You can take an active part it; bargaining is always welcome. 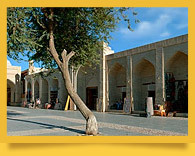 It is bad manners to shop at a bazaar without bargaining. 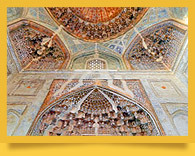 One Thousand and One Nights Sheherazade still holds a lot of miracles in store for you. 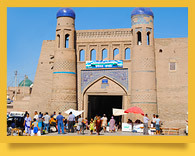 Asian bazaars is one of them.